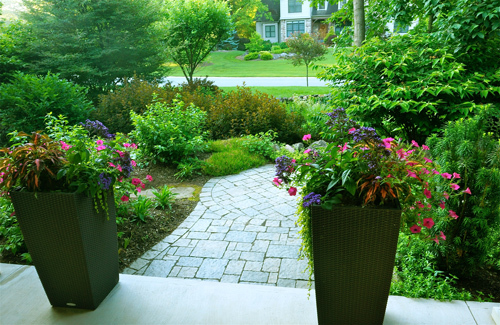 Bumping up curb appeal often starts with buying more plants. 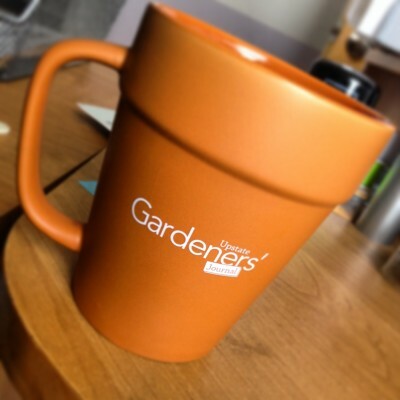 A few shrubs, a tree, or some snazzy containers might be just the thing… or is it? 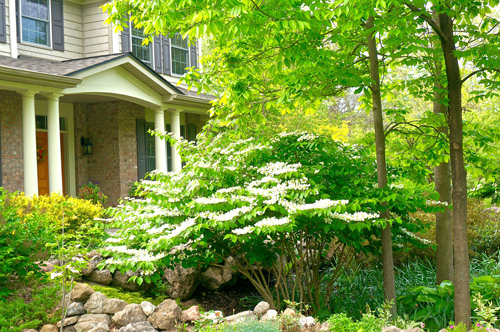 A quick fix can be tempting, but if you want to improve the looks of your front yard and you aren’t sure how to get started, adding more plants right off the bat might not be the answer. Sometimes the best way go about it is to work with what you already have. You might even end up liking the plants you think you want to get rid of. 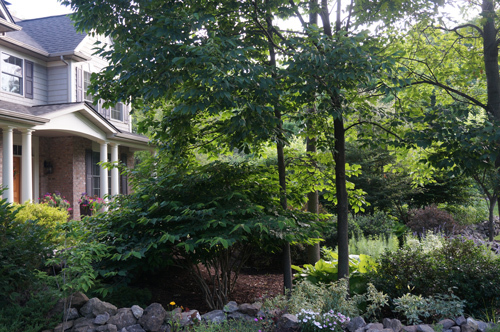 Robert Salmon and Catherine Fuller’s garden makeover began with a bunch of spindly trees in their front yard. Robert had been eying the forlorn specimens, worried they might fall on the house. He was about to carefully go at them with a chain saw when his wife, Catherine, called me to consult about their fate—and general appearance of the front yard. She was afraid that if they were removed their house would be too exposed to the street. The trees, an assortment of self-sown cherry trees (with a few nice oak and ash saplings mixed in) were leggy specimens with no great appeal. But on the plus side, they provided a degree of privacy from the road and connected the house with the woodlands surrounding it. We decided to compromise on the trees, selecting the healthiest ones with the nicest forms and removing the rest. Even though they weren’t perfect specimens, their height offset the scale of the two-story house. Plus, they would provide a perfect canopy for more attractive plants—a layered planting of shrubs and possibly perennials or groundcovers. We began brainstorming about how to marry it all up to the existing woodlands and foundation plantings that hugged the house. The trees sprang up randomly from an enormous oval shaped bed about fifteen feet from the house and spanned almost the entire width of the front yard. 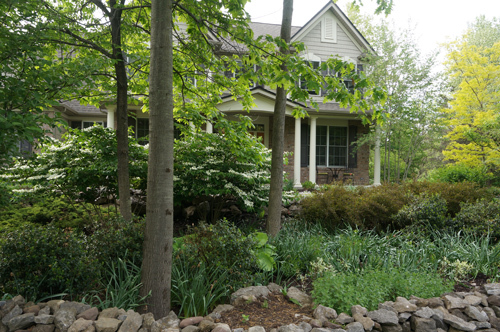 It was a natural but sloppy mess filled with weeds and junky shrubs, but strengthening the connection between the existing foundation plantings and woodlands with better looking plants had possibilities. It was a lot of space to plant. Robert and Catherine both like to garden, but their busy work schedules limited gardening, so we needed to make it as low-maintenance as possible. 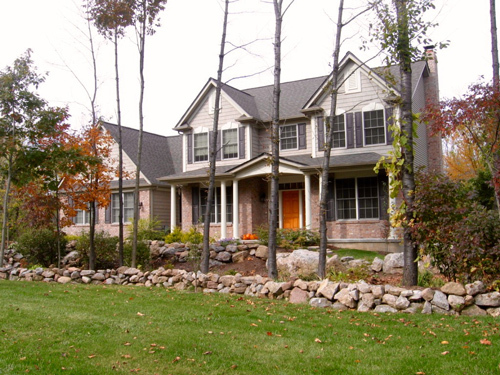 We chose plants that would help integrate the leggy trees into the surrounding landscape. Robert and Catherine had a lot of room to work with and their house was large. If your property is small, take heart—the same concept can be used with smaller-scale plants. Begin by choosing varieties with cultural needs that suit your site and fit the style you want. The growth habit and mature size of the plants you choose should match up to the job you want them to do. 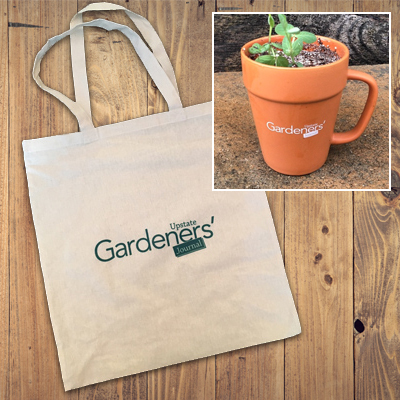 For example, slow-growing shrubs or trees with a vertical habit for tight spaces, fast-growing flowering shrubs for privacy borders, or plants with distinct forms to serve as focal points. We began with structural plants—the trees and shrubs. The largest specimens went in first. To balance the scale of the existing trees and insure against future tree loss, we planted Fagus sylvatica ‘Asplenifolia’ on the opposite side of the bed. Commonly known as fern-leaf beech, this stately tree has a pyramidal shape and a lovely texture—the delicate cut leaf resembles fern foliage. Around the base of the leggy trees, a mass of Viburnum tomentosum took care of masking the bare bottoms. Also known as doublefile viburnum, you can’t beat it for quick coverage. This fast-growing, deciduous shrub is tall (twelve to fifteen feet) and has a horizontal branching habit (eight to ten feet wide) that makes an attractive screen. Outrageous clusters of white flowers blossom from late May through June, and in fall, the leaves turn an intense plum color with red fruits the birds flock to. 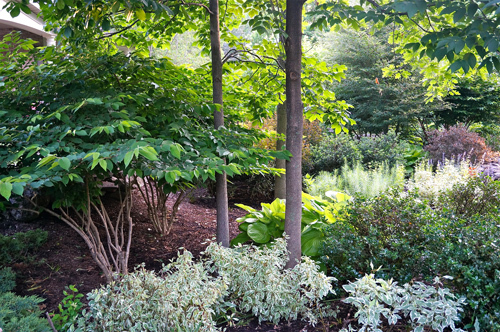 The form of the shrubs and trees dictate the style of a planting. Here, they played an important role in contributing to what I call “the controlled wild look.” The idea was to mimic the woodland without looking sloppy. Fast-growing deciduous shrubs with relaxed growth habits fit the bill. 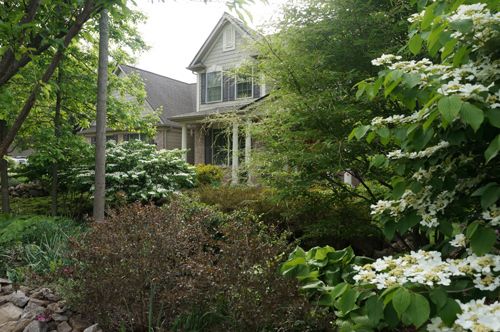 We bumped up curb appeal by choosing shrubs with exciting foliage, flowers, berries and interesting texture. Shrubs of varying heights were layered together in groups of three and five throughout the bed. This lent a naturalistic look to the planting and provided more screening from the street. Many deciduous shrubs of varying sizes offer gold, magenta and variegated foliage. 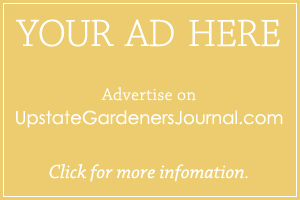 Most are fast growing and are an inexpensive way to fill space quickly and attractively. We made the most of their attributes here, contrasting foliage colors to increase visual impact. Most of the shrubs used are deciduous, but some evergreens were included for additional winter interest. • Physocarpus opulifolius ‘Diabolo’ (ninebark) has an arching habit that resembles forsythia and sports pretty, whitish-pink flowers in June. I like it best for the wine-colored foliage that pops out in late spring. Unpruned, this shrub matures at around eight to ten feet tall with a spread of six to eight feet, perfect for the back of the bed. • Cornus alba ‘Ivory Halo’ (Red twig dogwood) The flowers aren’t showy, but the crisp green and white leaves are striking. It grows quickly (four to five feet) and has bright red bark that adds color to a winter landscape. • Ilex meservae ‘Blue Girl’ and ‘Blue Boy’ are also known as blue holly because of their dark blue-green leaves. This variety grows a little slower than others, usually about five to six feet depending on conditions. Red berries and shiny dark leaves add contrast and winter color. Hollies come in two sexes and only females produce berries. To get them to berry you need to have a boy nearby, so make sure to plant both. • Weigela florida ‘Wine and Roses’ The combination of the dark magenta leaf and vibrant pink flowers make this one of my favorite mid-sized shrubs. It reaches a height of about 4 feet and has an arching growth habit. • Hydrangea quercifolia‘Snowflake’: Also known as Oakleaf hydrangea, this slower-growing variety is five to six feet tall. Longwhite panicles pop out in August and turn pink as fall arrives. Bold leaves, which are shaped like oak leaves (hence the name) turn deep magenta as fall progresses. It takes around three years for shrubs to mature. 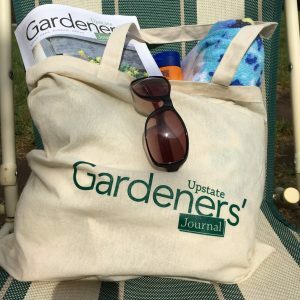 While you’re waiting for them to grow, the quickest way to reduce weeding and achieve immediate gratification is to fill in bare spots with perennials. Obviously, you don’t want any you’ll have to stake or deadhead, so pick low maintenance varieties. For this planting we chose varieties with interesting foliage and long-lasting flowers. • Hosta‘Sum and Substance’: This big hosta (about 3 ½ ft tall) adds pizazz to a shady garden with its enormous pleated chartreuse leaves. • Nepeta ‘Six Hills Giant’: Nepeta, especially this cultivar, (36” tall and wide) tends to hog all the space around it, but there was plenty of room here. The long-lasting blue flowers and gray foliage provided a tidy border for the front of the bed. • Amsonia hubrichtii: Commonly known as Bluestar, the pale blue flowers that bloom in June and July are pretty, but I chose this substantial (2’x3’) perennial for the delicate feathery foliage that turns vibrant gold in early fall. • Calamagrostis × acutiflora ‘Karl Foester’: Also known as feather reed grass, this tall (4’) upright grass has attractive vertical foliage that doesn’t flop. It looks pretty in winter too. • Pennisetum alopecuroides: A fat fuzzy grass around 3 ½ feet tall great for added softness and height. 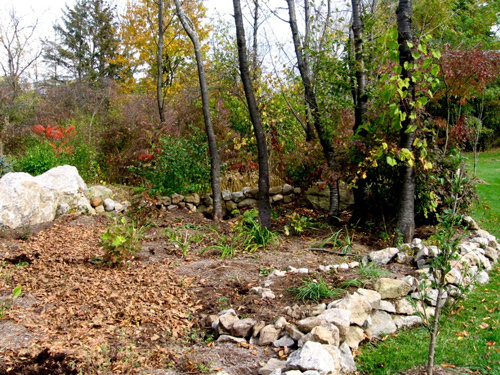 By the end of the first summer, the bottoms of the leggy trees were almost hidden by shrub foliage, and the bed blended gracefully into the foundation plantings and natural stone wall Robert had built. It was a perfect marriage. Robert and Catherine liked it so much that they kept on going, eventually reclaiming more of their overgrown property and extending the controlled wild look farther out into the woods. 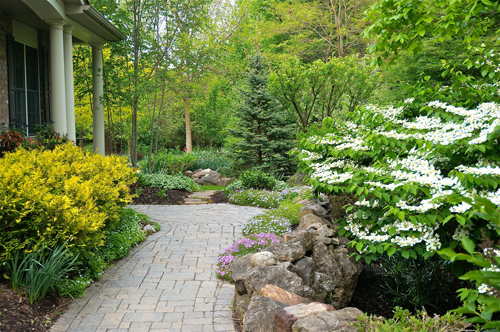 While we all might not be able to turn an ugly duckling into a swan, most of us have plantings that could be rearranged, or embellished to increase curb appeal. It’s worth taking a closer look at what’s going on in the front yard before you go shopping. Who knows? You might end up creating a garden you really want instead of the one you think you’re stuck with. Find Christine Froehlich at gardeningwithwhatyouhave.com.